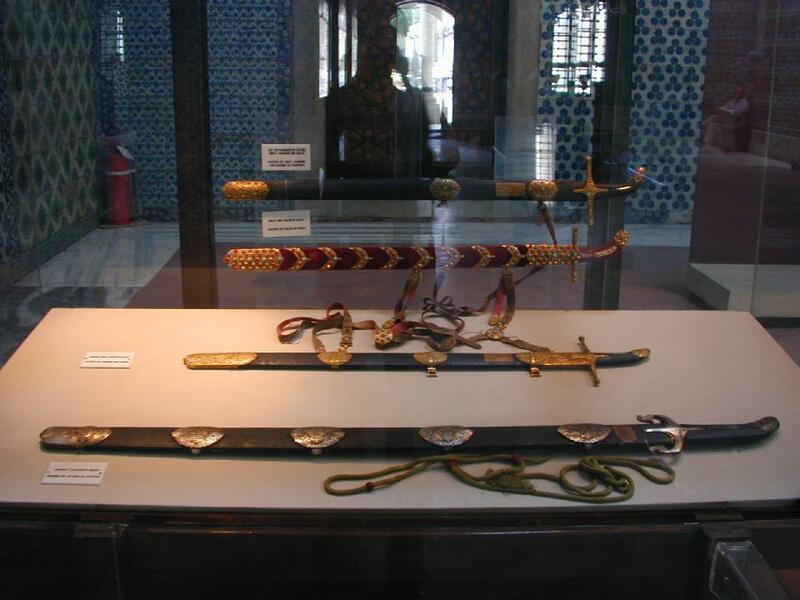 Khālid ibn al-Walīd (Arabic: خالد بن الوليد‎; 592–642) also known as Sayf Allāh al-Maslūl (the Drawn Sword of God), was a companion of theIslamic prophet Muhammad. He is noted for his military tactics and prowess, commanding the forces of Medina and those of his immediate successors of the Rashidun Caliphate; Abu Bakr and Umar. It was under his military leadership that Arabia, for the first time in history, was united under a single political entity, the Caliphate. He was victorious in over a hundred battles, against the numerically superior forces of theByzantine-Roman Empire, Sassanid-Persian Empire, and their allies, in addition to other Arab tribes. His strategic achievements include the conquest of Arabia, Persian Mesopotamia and Roman Syria within several years from 632 to 636. He is also remembered for his decisive victories at Yamamah, Ullais, and Firaz, and his tactical successes at Walaja and Yarmouk. He is also one of the two military commanders, the other being Hannibal, who have successfully executed the pincer movement against a numerically superior opponent. Khalid ibn al-Walid (Khalid son of al-Walid) was from the Meccan tribe of Quraysh, from a clan that initially opposed Muhammad. He played a vital role in the Meccan victory at the Battle of Uhud. He converted to Islam, and joined Muhammad after the Treaty of Hudaybiyyah and participated in various expeditions for him, such as the Battle of Mu’tah. After Muhammad’s death, he played a key role in commanding Medinanforces for Abu Bakr in the Ridda wars, conquering central Arabia and subduing Arab tribes. He captured the Sassanid Arab client Kingdom of Al-Hirah, and defeated the Sassanid Persian forces during his conquest of Iraq (Mesopotamia). He was later transferred to the western front to capture Roman Syria and the Byzantine Arab client state of the Ghassanids. Even though Umar later relieved him of high command, he nevertheless remained the effective leader of the forces arrayed against the Byzantines during the early stages of the Byzantine–Arab Wars.Under his command, Damascus was captured in 634 and the key Arab victory against the Byzantine forces was achieved at the Battle of Yarmouk (636), which led to the conquest of the Bilad al-Sham (Levant). In 638, at the zenith of his career, he was dismissed from military services. Khalid was born around c. 592 in Mecca to Walid ibn al-Mughira, the chief of the Banu Makhzum, a clan of the Arab tribe of Quraysh. His father was known in Mecca by the title of Al-Waheed- the Unique. The three leading clans of Quraysh at that time were, Banu Hashim, Banu Abd-al-dar, and Banu Makhzum. The Banu Makhzum was responsible for the matters of war. Soon after his birth, and in accordance with the traditions of the Quraysh, Khalid was sent to a Bedouin tribe in the desert, where a foster mother would nurse him and bring him up in the clear, dry and unpolluted air of the desert. At the age of five or six, he returned to his parents in Mecca. Khalid during his childhood also had a mild attack of smallpox which he survived, but it left some pockmarks on his left cheek. Khalid and Umar the second Caliph, were cousins and had very close facial resemblance. Khalid and Umar were both very tall, Khalid had a well-built body with broad shoulders. He had a beard which appeared full and thick on his face. He was also one of the champion wrestlers of his time. As a member of the tribe of Makhzum, who had specialized in warfare, and were amongst the best horsemen in Arabia, Khalid, as a child, learned to ride and use weapons like the spear, the lance, the bow, and the sword. Lance is said to be his favorite among the weapons. In youth he was admired as a renowned warrior and wrestler among the Quraysh. Map of the Battle of Uhud, showing Khalid’s flanking movement against Muslim army, a maneuver that won the Battle for Quraysh. Not much is known about Khalid during the early days of the preaching of Muhammad. His father was known for his hostility against Muhammad. Following themigration of Muhammad from Mecca to Medina, many battles were fought between the new Muslim community at Medina and the confederacy of the Quraysh.Khalid did not participate in the Battle of Badr—the first battle fought between Muslims and Qurayshites—but his brother Walid ibn Walid was caught and made a prisoner. Khalid and his elder brother Hasham ibn Walid went to Medina to ransom Walid, but soon after he was ransomed, Walid, amidst the journey back to Mecca, escaped and went back to Muhammad and converted to Islam. Khalid’s leadership was instrumental in turning the tables and ensuring a Meccan victory during the Battle of Uhud (625). In 627 AD he was a part of Quraysh’s campaign against the Muslims, resulting in the Battle of the Trench, Khalid’s last battle against Muslims. A peace agreement of ten years was concluded between the Muslims and Quraysh of Mecca at the Treaty of Hudaybiyyah in 628. It has been recorded that Muhammad told Khalid’s brother, Walid bin Walid, that: “A man like Khalid, can’t keep himself away from Islam for long”. Walid wrote letters to Khalid persuading him to convert. Khalid, who was not unduly drawn towards the idols of the Kaaba, decided to convert to Islam and is said to have shared this matter with his childhood friend Ikrimah ibn Abi-Jahl who opposed him. Khalid was threatened by Abu Sufyan ibn Harb with dire consequences, but was restrained by Ikrimah who is reported to have said: “Steady, O Abu Sufyan! Your anger may well lead me also to join Muhammad. Khalid is free to follow whatever religion he chooses”. In May 629, Khalid set out for Medina. On the way he met ‘Amr ibn al-‘As and Uthman ibn Talha, who were also going to Medina to convert to Islam. They arrived at Medina on 31 May 629 and went to the house of Muhammad. Khalid was received by his elder brother Walid bin Walid and was first among the three men to enter Islam.